Worried about your kids’ online safety? Busy parents can’t possibly monitor their children’s activities all of the time. 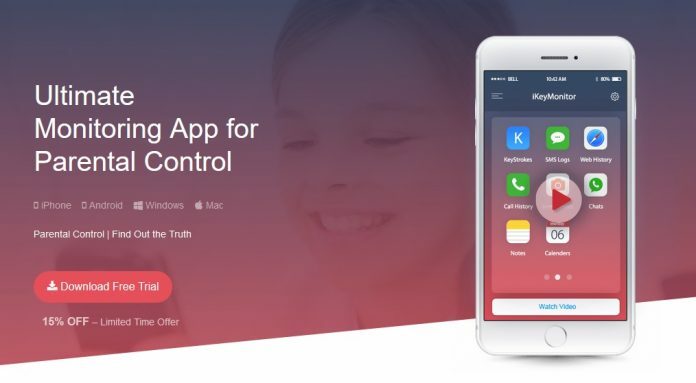 But with an app like iKeyMonitor, adults can easily keep tabs on what their kids are doing on their phone or tablet. 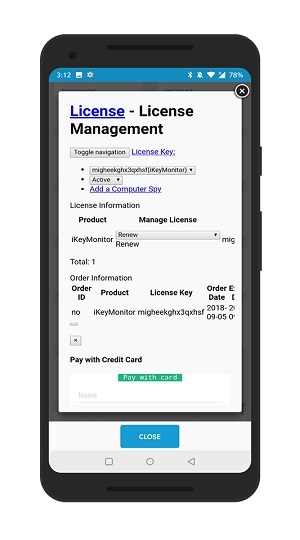 iKeyMonitor is an app that is available for Android users, although you won’t be able to get it from the Google Play Store. Instead, you’ll need to access the iKeyMonitor official website and download it from there (it’s also available for iOS). To install the app, you’ll need to grant certain permissions on your phone. Alternatively, you can also install the app remotely on another device which you possess or are allowed to monitor. Once you’ve launched the application you will need to create an account and log in with it. Then you’ll be required to configure certain parameters. Like for example turning off Battery Saver. These settings are required to keep the spy app running in the background or prevent the app from being flagged. Even so, I was reluctant to comply with some of these requests. 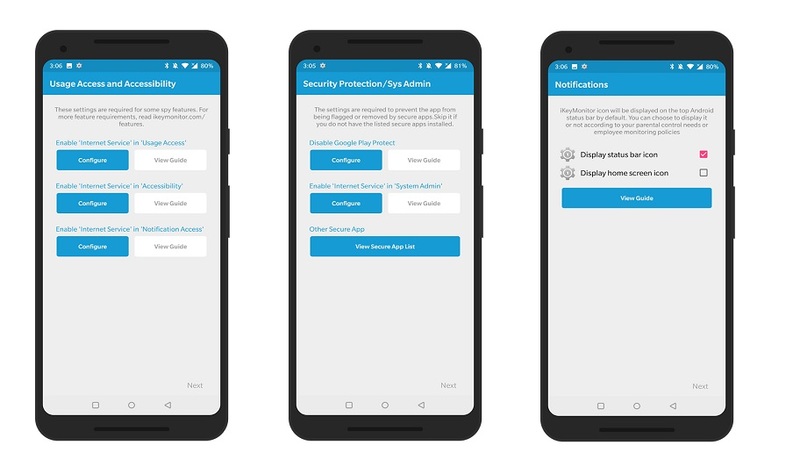 Like the Disabling of Google Protect. This is an essential tool that regularly checks the device for security threats. So turning it off doesn’t seem the best of ideas. Fortunately, I was able to proceed further without disabling Google Protect. 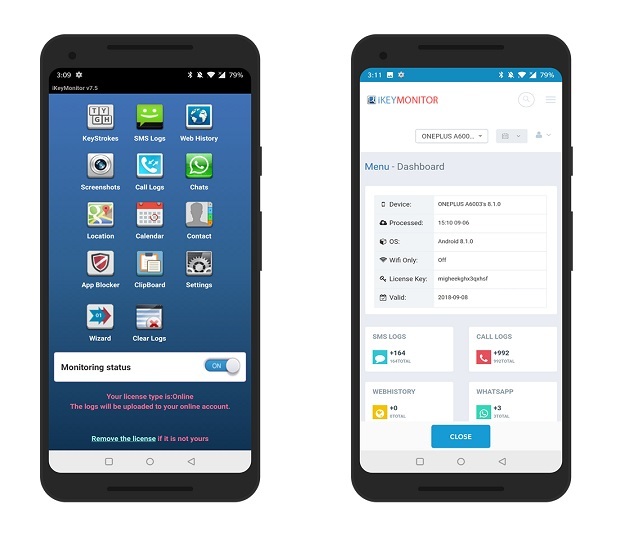 The app offers an impressive array of functions including comprehensive keylogging, SMS and phone call tracking, social media tracking (including Instagram, Facebook, and Whatsapp). There’s also a call recorder feature, so you can hear exactly what your child has been saying over the phone. What’s more, parents get to take advantage of an App Blocking tool which lets them set limits for device usage. For example, you can set the maximum usage time per day or block any apps from being active once it’s time for bedtime. Adults can also keep some apps blocked at all times. While most of the features are free to use as part of a free trial, some are locked behind a paywall. For example, the app will monitor and record every photo that was taken using the monitored device. However, it will only show you the most recent images for free. If you want to dig deeper, you will need to pay. All the gathered data is available either in the App or in the Spy Panel which is a dashboard from where you can access things more easily. The app interface looks a little bit outdated, but this doesn’t affect the app doing its job. iKeyMonitor delivers on its promise. It tracks a device’s full activity and can stay undetected (you have the option to hide the icon showing on top). But although the app was created with a positive scope in mind, I can’t help but be concerned about all the nefarious ways in which people might end up using it. So should you use it? Of course, if you’re a parent trying to keep your children safe in an age of digital predators, by all means, get this app. It will serve your purposes very well.